Elegant, minimalist and so simple to personalise. These perspex place settings are set to be the trend for the 2017 wedding season. 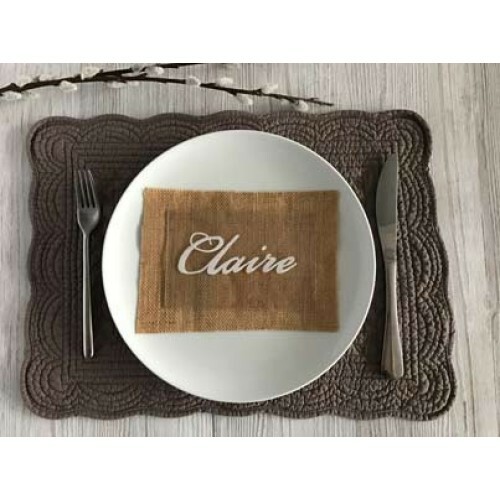 This kit contains everything you need to create your own stunning personalised place settings. Additional sheets can be added below at £1 each. Simply remove the protective film layers on the glazing, place the perspex over the letters and trace. It's that easy! The size of the perspex is 4x6 inches and it's 1.2mm thick. Some of the edges may be slightly rough due to the nature of the material. We cannot offer replacements in this instance.